Need help remodeling your home? From new kitchens and patios to roofing and masonry - we do it all! About half a century ago, popcorn ceilings were all the rage. People loved the rough textures and the unique look, without realizing that the main purpose of a this type of celling was actually to cover up imperfections. 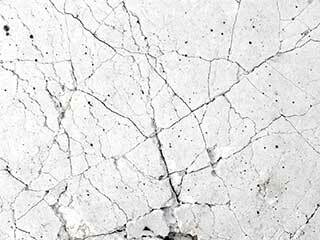 This material, also known as stucco, is great for disguising visible cracks, breaks and other defects. Over time, as drywall installation methods improved and became more hi-tech, the popularity of stucco textures began to diminish, and people started to get rid of them in favor of newer texture options. Another reason for the reduction in popularity was the fact that old stucco ceilings often harbored white asbestos, which is incredibly dangerous to humans and pets. That means that damaged old popcorn ceilings can pose genuine health risks. Not all of them do, but that means that dealing with the removal of this material should be left to the experts. If the stucco layer is not too thick, you may be able to have it sanded back down to the smooth part of the drywall sheet. This requires special tools, masks and a good dose of patience but it can be a very serious problem if the original popcorn treatment was infused with asbestos fibers. Before you even consider touching this material, you need to have it checked for the presence of asbestos. This is particularly important if you are renovating an older house. If your ceiling does contain this hazardous material, professional removal services are an absolute must. Unfortunately, sometimes simply sanding down the old popcorn texture layer could create more problems than solutions. If the old texture was not properly installed or the drywall sheets were of an inferior quality, you could end up with a very ugly ceiling that is beyond any hope. Rectifying these types of problems can cost more than you think. Depending on your ceiling situation, the cheaper and more practical option may be to remove the old drywall sheets and replace them with new ones. This will ensure you get a smooth, even surface and no hassles for many years to come. Before deciding on sanding down or replacing your old popcorn ceiling, you need to consider all your options. Sanding down the old material and applying new texture later can often cost more than replacement. However, it still won't hold the perfect seamless finish of a new ceiling; it's also incredibly messy and time consuming. On the other hand, maybe you like the character of your old home and don't want the perfection. There is no standard solution to this problem, so it comes down to checking the state of your old ceiling and whether or not it can be salvaged. Whether your roof could use tending to, you have drywall that needs repairs, or anything else in-between, we can get it done in no time at all. We’re proud to offer our customers excellent services for the home that won’t break the bank in the process. It's time to get your house looking like you’ve always wanted! Browse our website to learn more or contact us today. Thank you for choosing Drywall Repair & Remodeling Glendale! Feel free to browse our website for more useful information until our appointment!